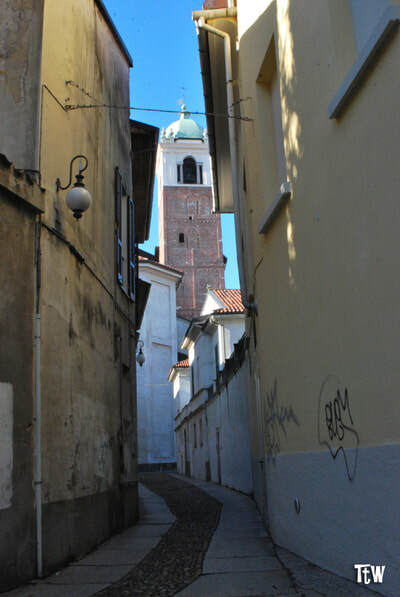 Leave the Broletto, cross the Duomo Square heading south-east and take Vicolo della Canonica (go past under the arcade), the Vicarage Lane. There is a legend connected to this place. Before reading about it, please mark the small stone column against the wall at the beginning of the lane. This column is a natural barometer – it changes colour when the weather changes, thus telling the Novaresi whether the sun will keep on shining or anticipating a rainy day. The legend says that in the first half of the 19th century, a blacksmith nicknamed Mazzagat (“Cat Killer”) because of his rather quick-tempered personality, had its own workshop in the Canonica lane. He used to argue with his lover Celestine and a one day (not a good one), while quarreling he had a fit of anger and killed her. Of course he was arrested and sentenced to life imprisonment (and he died in prison). However, the inhabitants of the Canonica lane, and the whole city, were not relieved because since that very bad day the soul of the poor Celestine started haunting the place. Lots of people reported having met the ghost of a black-veiled woman throwing around her evil eyes, predicting very bad luck and certainly causing nightmares to the more sensitive. 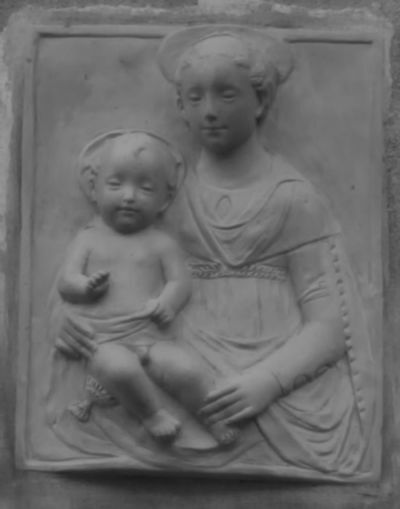 To put an end to this period of terror that forced the Novaresi to stay at home after sunset, one day someone put a terracotta statue of a Madonna attached to the wall in front of the entrance of the Mazzagat’s workshop. From then on nobody met Celestina's ghost. Thre is no trace of the workshop today, but the Madonna is still there. 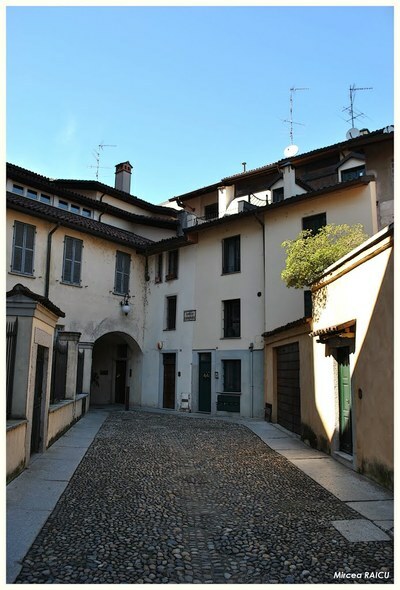 Vicarage Arched Courtyard (Quadriportico della Canonica). The place is an island of tranquility amid the bustling city centre. Lots of people do not even know about it, but those who do never forget to bring visitors there for a “pit-stop”. The place is actually the cloister attached to the Cathedral of Santa Maria and it hosts copies of Roman epigraphs, tombstones, and sarcophagi of great archaeological interest. The originals are collected in the Musei della Canonica del Duomo (Cathedral Vicarage Museums), whose entrance is at the north-west corner of the porch. Very likely under the ground there are remains dating back to the Roman times. In the Middle Ages the place was the seat of a court of justice; cases were discussed under an elm tree. In the XVIII and XVIX centuries the courtyard was used as a marketplace, on Mondays, Thursdays and Saturdays. Before the arrival of the French Republican troops there were doors at both ends of the lane leading to the Vicarage. The French had the doors removed in order to keep the way clear and lined the lane with post-lamps.